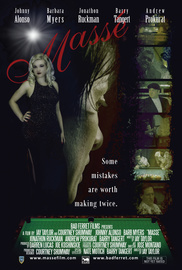 Some mistake are worth making twice..
Jack Pappas has worked hard to separate himself from his troublesome past. Content to hustle pool for a living, Jack tries to get by without making any waves. It appears he just about has it all figured out, until Sara, an ex flame of his comes back into his life unexpectedly looking for help. Suddenly, Jack finds himself drawn back into a past he'd tried to escape...and hoped to forget. But everything is not as it seems as Old Hollywood meets the modern era in this feature-length piece of contemporary noir.